I have often stressed the importance of knowing your long-term goals, of knowing in which direction you want to move in a very general sense. 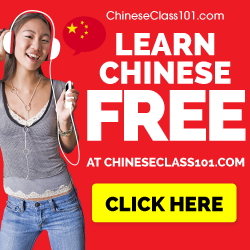 However, as everybody knows, setting the goals to speak Chinese fluently or be able to read a newspaper written in the language won’t help you very much in your day to day studying. In fact, focusing too much on a distant goal will probably hurt your chances of reaching that goal. Sure, it’s true that every long journey has to start with the first step, but if you keep your gaze at the horizon, it’s easy to get the impression that you’re standing still. However, if you look down while you walk, things seem to fly by and you can clearly see that you are covering ground. 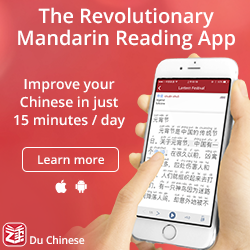 If you have an hour this afternoon to spend studying Chinese, it’s impossible to sit down and reach any goal you have set for yourself. What you can do is sit down and get things done. Once you have done enough, the goal will be accomplished, but it’s work you’re doing, not accomplishing goals. Achieving a goal is a line you pass on your journey; to get there you have to walk. There are many ways of achieving what you want in the short run (and thus, in line with the above argument, what you want in the long run, too). Two of these methods are micro goals and timeboxing. Micro goals is a technique which simply involves setting very small goals that are easily accomplished within one study session. They should be clearly defined and can be ticked on a list to give a sense of completion. Since I have already written an article about micro gaols, I will not talk more about that here. Instead, this article is about timeboxing, which is a somewhat different way of approaching the problem of getting things done. As the perceptive reader will notice, I’m going to contradict some things I’ve said about goals in general and micro goals in particular, but that’s okay, because after all what I’m doing on this website is opening doors to possible ways of learning Chinese more efficiently, rather than showing you the one and true path to enlightenment. 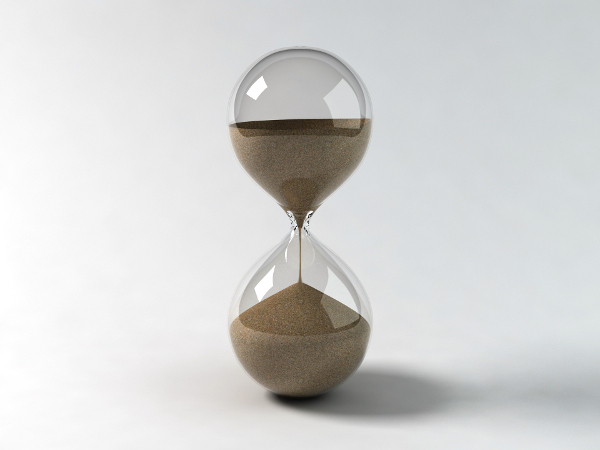 So, what is timeboxing? The first part of the word is easy, but the second part isn’t that obvious. Are we about to engage in a fistfight with time? In a manner of speaking, perhaps, but actually the “boxing” part comes from the word “box” (i.e. something square in which you can put things). It is about dividing time into chunks and do something valuable with each piece. It is about focusing on the next bit of your journey without worrying too much about the final destination. It has been found that the more time we have to complete a task, the less efficiently we work on it. This is quite obvious when you think about it and I’m sure most people have experienced this in their everyday lives. Didn’t you have homework assignments you didn’t complete until you really had to, because otherwise you’d fail the course? Having lots of time is not a guarantee for finishing anything, in fact, it’s usually an excuse to procrastinate more. Realising this, timeboxing is about limiting the time you have available and creating for yourself a task you are 100% sure that you will be able to complete and that you will feel satisfied having completed. 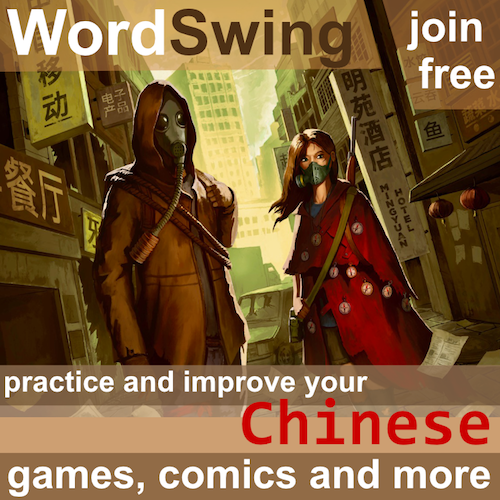 It means that rather saying that you’re going to review vocabulary using spaced repetition software until you’re done, you say that you’re going to work hard on reviewing characters for exactly ten minutes. Setting goals “until I’m done” works well if you actually can complete them, but the risk is that you will feel disappointed if you fail. Also, failure leads to an even bigger chance of failing next time, because you will have even more words to handle. However, deciding that you’re going to spend ten minutes reviewing words is guaranteed to be a success. You almost can’t fail.When you’re done, pat yourself on the back, take a deep breath and decide what you want to do next. If you feel up to it, you can set another ten minutes to get through even more words, but be sure you’re still concentrated enough to be able to do it. I’d suggest doing something else, even if that might be study-related as well. Learning how to timebox properly is a matter of practise. I know what works for me, but I don’t know what works for you (and neither do you, if you haven’t tried it). In the above examples, I’ve chosen ten minutes as the default value, but that’s just a guess. I’ve found ten minutes to be a good time interval for most tasks, but you might find that you need shorter intervals to really stay focused. Likewise, you might find that some tasks need more time than that to be meaningful. Estimate, experiment, evaluate; learn how to timebox the specific activities you’re engaged in. Whatever time you choose, make sure to use a timer that will alert you when the time is up. Using an actual timer will enable you to focus wholly on what you’re doing, rather than thinking about how much time you have left. Time boxing is an extremely powerful weapon against procrastination and many people who try it are surprised at how effective it really is. It’s almost magic (but not really, because we know why it works). 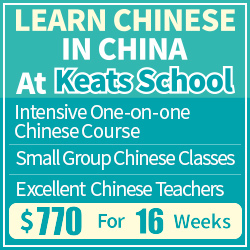 Rather than timeboxing Chinese, I suggest you start timeboxing everyday activities such as cleaning or washing dishes. You will find that if you postponed cleaning your apartment for days (or even weeks), setting a definite time limit and cleaning up only for that time tends to get things spick and span in no time. Let’s look at an example. I have 300 words due in Anki and I have some time to study today. It’s Saturday and I’m a bit weary after a week of too much to do and not enough sleep. Without timeboxing: I have two hours of free time, so I decide to start reviewing words. After about 15 minutes, I start feeling bored. Then I see that the estimated time to finish all cards that are due now is four hours and ten minutes. I give up, but playing Starcraft is quite fun, so I do that instead. I won’t get through 300 words today anyway. I might do a few later. In total, I review around 80 words, mostly because I feel I can’t achieve anything anyway and I will have to spend too much time to succeed. With timeboxing: I start Anki and use the built-in timeboxing settings. I think I can keep concentrated for fifteen minutes and I set the timer. Fifteen minutes later, I have reviewed 80 words. Then I feel happy for having achieved something, but I don’t review more words right now. Instead, I spend ten minutes to look up some characters that have been confusing me. Then I move back to Anki. Another fifteen minutes and 80 words pass by. I take a break, brew some tea, look out through the window for a while. Then I do another fifteen minutes. Then, seeing that I’ve already gotten through a substantial amount, I decide to play some Starcraft. In total, I complete around 200 words, feeling happy and satisfied with every step along the way. Timebox everything you want to do, but find yourself postponing or having problems getting started with. Start with low times, perhaps five minutes, and then increase the time slowly. If you find that you cannot work for the set time, lower it to a manageable level. Of course, this time is related to your current mood and frame of mind, so expect some minor setbacks before you get the hang of it. The important thing is that you will achieve almost every time you timebox. No more procrastination because of disappointment or fear of failure. Don’t think of the thousand miles you have ahead of you to your goal, don’t think about the steps you’ve already taken. Think about the next step, that’s all that matters. That’s what you’re doing now. Just do it, just take that one step. It will get you farther than you think. Thank you for the article. I have quite a bit of work to do tomorrow (lots of Chinese things in fact) and will put this method to the test. It sounds like it could very well be an effective way to conquer procrastination without feeling miserable. Often the prospect of studying for long periods of time does indeed leave me feeling like goals are so far away. I hope these micro goals will do the trick. I’m still not totally clear what the difference is between micro goals and timeboxing. In each case, it appears I’m making an easily accomplished goal for myself that would thus require less time to be completed. Could you clear up the difference for me? Getting started is some kind of super micro goal to me, I think. After having achieved that, my motivation grows quite fast to do some more. I’ll definitely try to use timeboxing on a more concsious basis. @Dillon: How did it go? You are right that timeboxing and micro goals are quite similar. They both strive to give a more immediate sense of achievement instead of postponing it for later and they both make you responsible for what’s going on now, not what you will achieve this month. The main difference is that timeboxing is all about approximating the correct size of periods of time and then use those as efficiently as possible. You can do that with micro goals too, but i’s not the main idea. Is that any clearer? @Jacky: I think the situation you describe is more or less what I feel sometimes and I think most students feel now and then. Perhaps what you say about getting started is part of the key to the solution. By setting a very short period of time (like ten minutes), it’s very easy to get started. Once we’re moving, it’s easier to continue. That’s a very insightful thought, thank you! I believe, I believe! This may well be the most useful thing I’ve yet read in my increasingly attritional battle with procrastination. The fact I read it during a moment of mid-afternoon procrastination is no more than an ironic detail. Great stuff. Though many of the ideas and themes are common to pedagogy and project planning the world over, you’ve done us a service in tying them together so eloquently. Thank you!